Making an investment in your first piece of Castelli kit doesn't have to mean parting with most of your rent money for a top-end pair of bibs. Keep the Mondiale on your mind, but choose the Evoluzione 2 Bib Short for this season and continue sponsoring your cycling habit without going into debt. 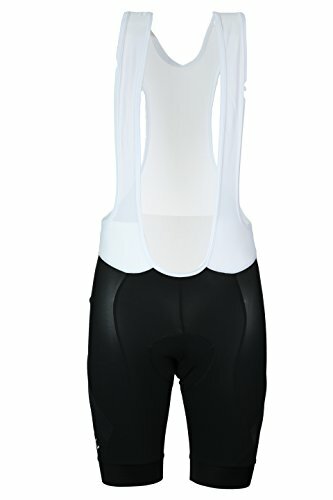 This entry level bib short comes with inspiration from its pro-level siblings in the way of a streamlined fit, longer length, and airy construction. As you get the feel of longer rides and new races, the Evoluzione 2's new two-layer ProDry Soft fabric will support your muscles in the saddle while breathing consistently and following your movement in the saddle. Designed for the long haul, the Castelli Men's Endurance X2 Bib Short keeps you cranking in cloud-nine comfort, mile after blissful mile. The Endurance X2 Bib Short precisely wraps your body with its eight-panel design and compressive fit. Endurance Evolution fabric rapidly wicks moisture off your body while supporting key muscle groups on the road. Castelli tweaked their signature bib straps for an enhanced fit across a wide variety of body types. Sitting at the heart of this bib short, the Progetto X2 Air chamois promotes breathable comfort as its name suggests. Its absence of seaming or folds sits smoothly against your skin, with a bacteriostatic layer that prevents saddle sores during long grinds and endurance efforts. Four-way stretch fabric conforms to your every movement, with multi-density padding for relief from saddle pressure and unruly road vibration. Preventing the bottoms from riding up, Giro 3 leg grippers retain a secure fit while sitting flat against your skin for irritation-free wear. 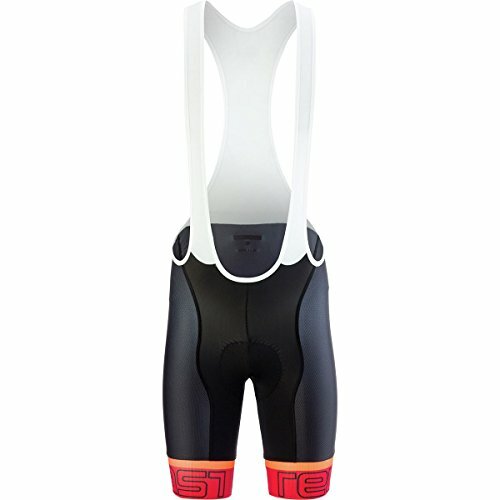 Castelli placed reflective tabs along the back of the legs for added visibility when you're finishing late-evening rides or racking up miles at dawn. Castelli's Free Aero Race Bib Shorts hide their assets in their name. Namely, free speed, aerodynamics, and race-oriented. The Free Aeros utilize a variety of surface textures, fabrics, and time in the wind tunnel to deliver a claimed 10-watt savings at 50kph. This may not seem like much, but those savings add up over even a two or three hour ride, and could mean the difference between enough power for a sprint and pedaling lamely to the line. At the core of the shorts sits Castelli's Progetto X2 Air chamois, with one minor-but-crucial improvement --a softer face fabric. You get all the support and chafing resistance you expect from the Progetto, but it's a bit kinder to your skin now. We'd be remiss to not mention the lightness of all of the fabrics in the Free Aero Race, in part because they're comfortable and airy on even the hottest days, but also because you're going to want to apply a bit of sunscreen at the leg bands. 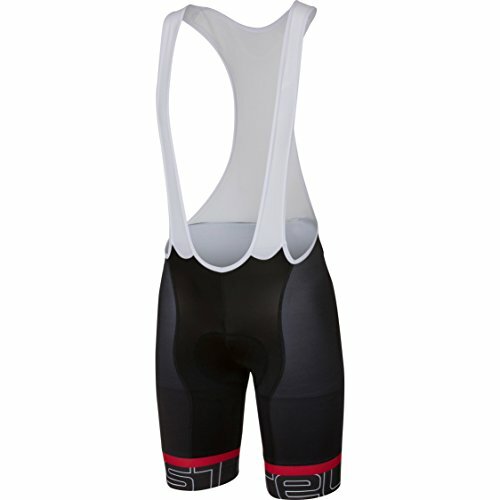 Start your cycling wardrobe off the right way with Castelli bib shorts. The price and features of the Men's Cento Bib Short make these bibs a solid choice and with a relaxed cut and quality materials throughout, you'll feel just as good as you look on your ride. 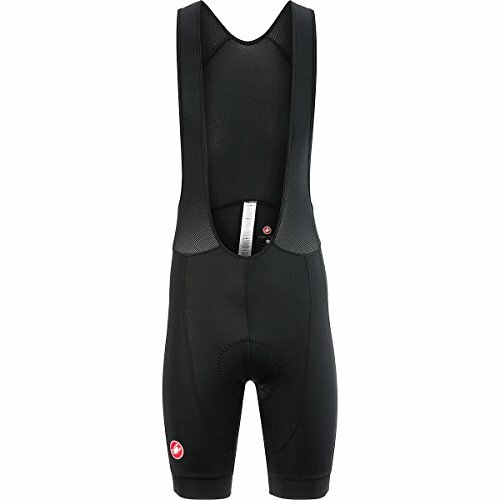 The Cento bibs features Castelli's Fondo Fit. This allows for a more comfortable and less constrictive fit across the thighs and a longer inseam for a comfortable cut with a little more room. If you have plans to do some charity and club rides and care more about comfort, on and off the bike, rather than aerodynamics, these are your bibs. 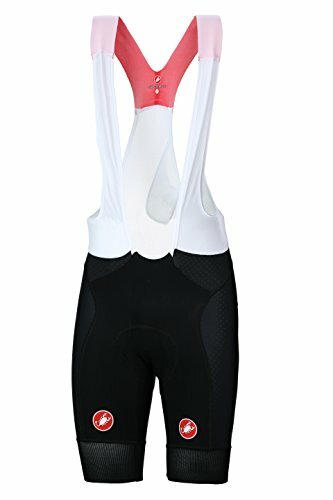 At the leg hems, Castelli uses its GIRO3 leg bands to comfortably hold the leg openings in place without excessive pressure or constriction. The KISS Air chamois provides excellent comfort and support defusing road noise and offers cushioning from firm saddles. Reflective tabs keep you visible to motorists in low light and Castelli calls for the optimal temps ranging from 59 to 86-degrees Fahrenheit. While they already fit like a second skin, the Free Aero Shorts go a step further and incorporate dimpled fabric at the outer panels to move air much like the surface texture of a golf ball. The seat and front panels are constructed from a breathable fabric so you won't overheat. Both fabrics are 30% Lycra, which lends a compressive quality to the fit to keep your legs rejuvenated. All the seams are flatlock stitched to minimize chafing. The bib shorts are held in place by Castelli Carre straps. This design features breathable mesh that culminates in Carre fabric in a yolk over your shoulders. This keeps the straps tight, yet comfortable, against your torso to avoid unnecessary wind stifling bulges. In subtle Italian style, the shorts feature Castelli red accents on the leg grippers, reflective squares on the rear of the legs and iconic scorpion logos. 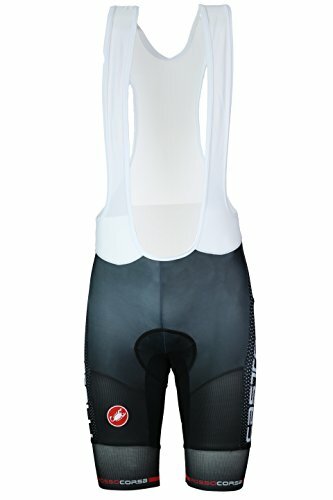 Looking for more Castelli Bib Shorts similar ideas? Try to explore these searches: Bio Lipoic Acid, Vermeil Horseshoe, and Giraffe Rocking Chair. Look at latest related video about Castelli Bib Shorts. Shopwizion.com is the smartest way for online shopping: compare prices of leading online shops for best deals around the web. 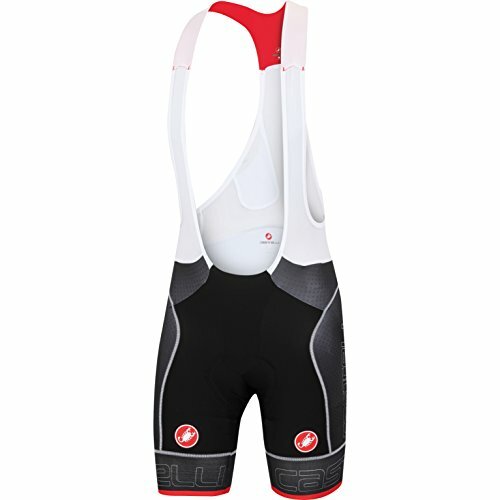 Don't miss TOP Castelli Bib Shorts deals, updated daily.